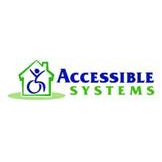 With 17 years experience, Accessible Systems specialize in accessible homes. Visit Colorado’s only adapted show-home and experience what it takes to make an accessible home both functional and beautiful. The adapted home showcases solutions like stair-lifts, ramps, railings, elevator systems, room to room transfer solutions and barrier free bathrooms. Our team of specialists offer a free home safety assessment to help you identify and overcome risky areas.